Anna Cherer (LA ROCHELLE, France) on 14 June 2018 in Architecture and Portfolio. A splendid sky makes an excellent background for this interesting building. Joliment mis en scène !! pure art, nature and architecture! Une très belle construction ! J'aime ton cadrage ! An excellent contrast between the building and sky!! Those clouds add nice dynamics to this composition. Well seen, conceived, and composed ! 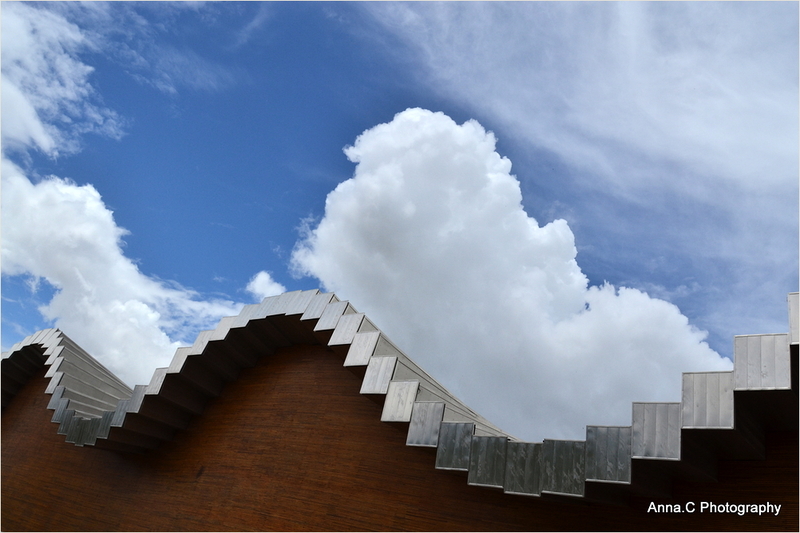 Such a beautiful image of the roof and clouds. Love it Anna - wish I had taken it. Well seen and composed. @dobbino: Thank you for comment and following ! Le nuage semble se reposer sur le toit! Très beau cadrage et graphisme!